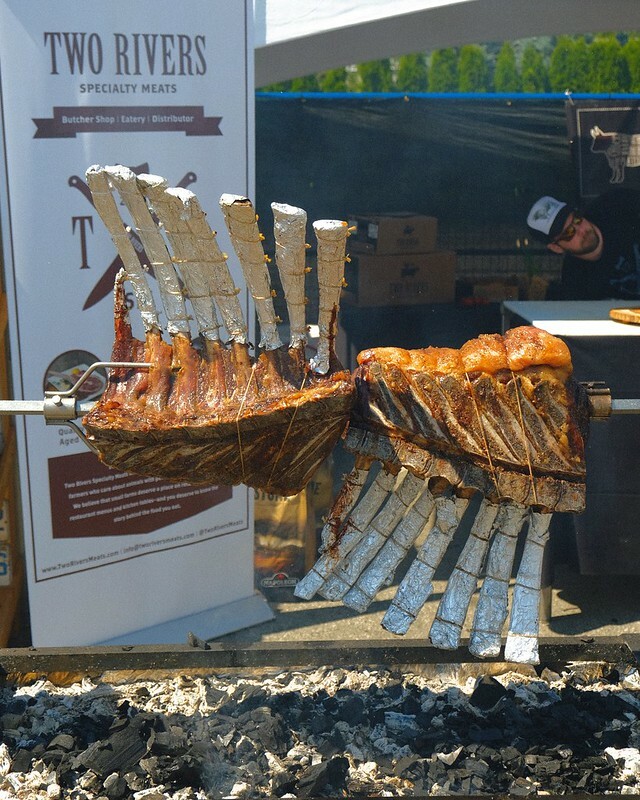 False Creek—(July 23, 2016) Known as the ultimate outdoor summer meat festival, the sold out, fifth annual Brewery and the Beast Vancouver packed in the hungry crowd over at Concord Pacific Place the other weekend. 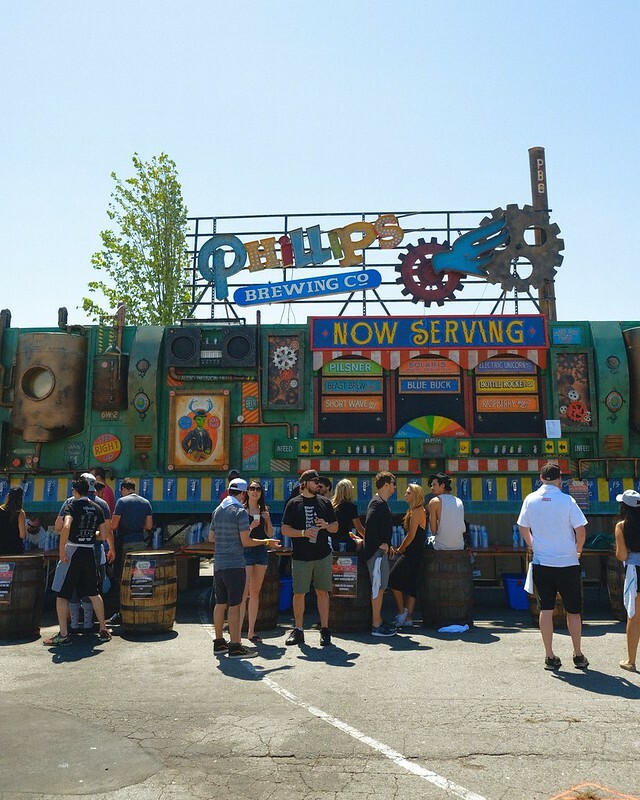 As always, sponsor Phillips Brewing Company provided their assortment of Victoria craft beers to help meat patrons cool down in the scorching heat. 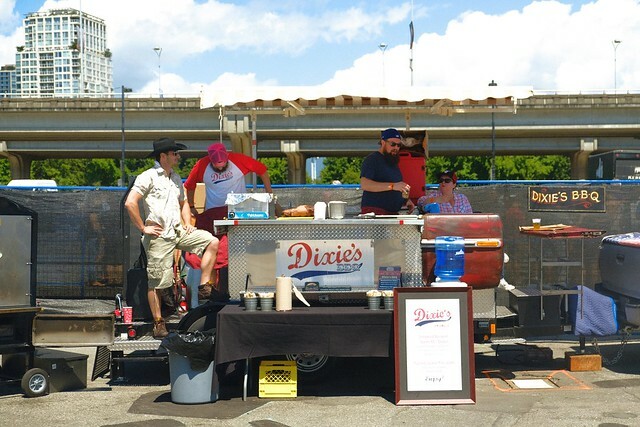 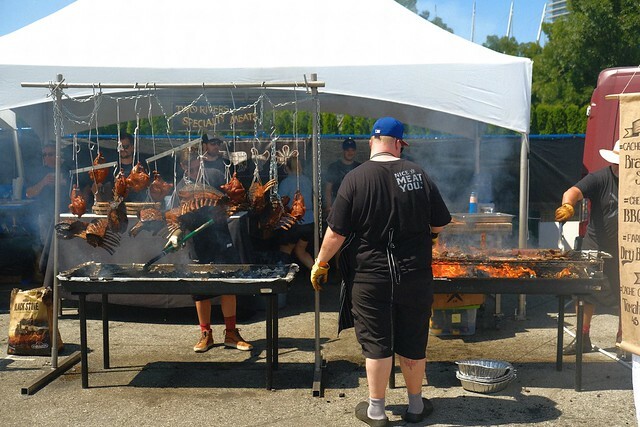 There was an assortment of flame-cooked meats from everything like racks of beef from Two Rivers Specialty Meats to deep-fried turkey wings and drumsticks from Juke Fried Chicken and a whole fire-roasted pig (above) from Campagnolo chef Robert Belcham. 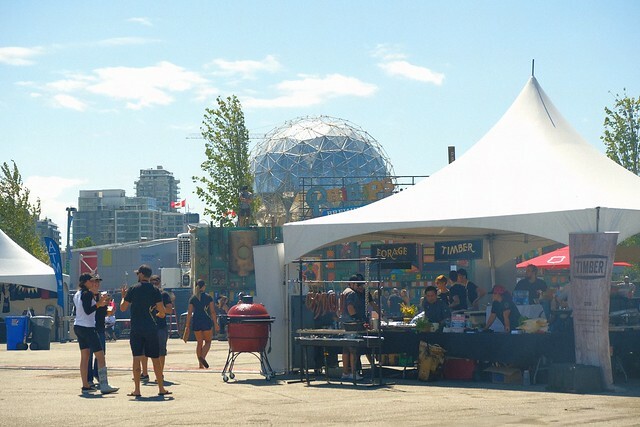 The ethically-sourced, meat-focused beer mashup event saw dozens of Vancouver's best restaurants showing off their flame grilling skills each in their own unique but still culinary way. 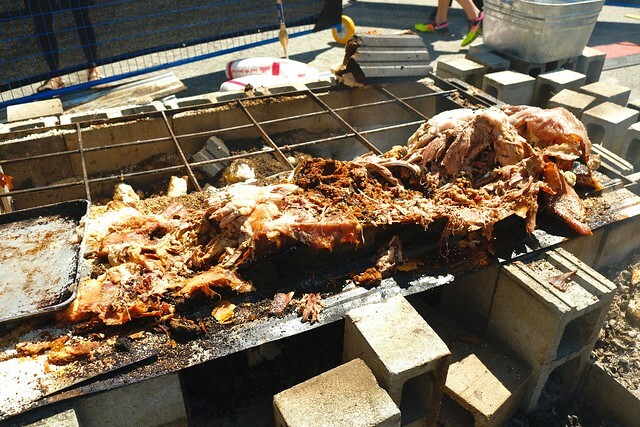 Brewery and the Beast continues to be a hot ticket and ideal summertime meat gathering with events also taking place in Calgary and Victoria.